Today the New York Social Diary highlighted Amanda Nisbet's colorful and cheerful apartment in NYC. 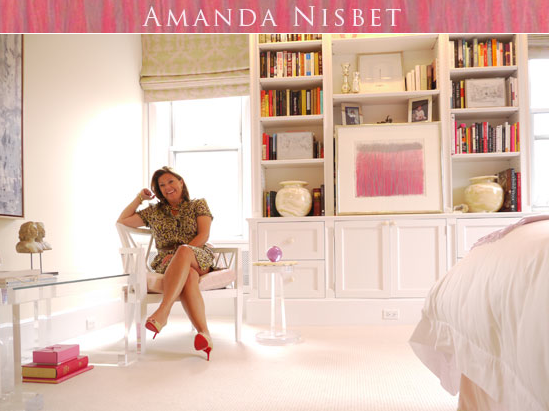 She is definitely one of the designers whom I reference when looking for inspiration for children's room designs. The room below is her daughter's new grown up pre-teen room. You might recognize the window treatments from the room when it was previously for a toddler in the much-published photo below. 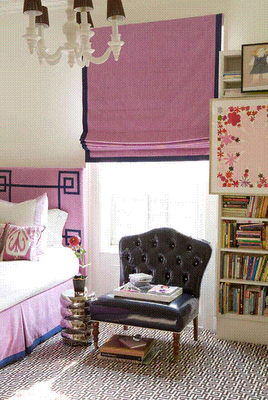 Everyone remembers the headboard which helped ignited the greek key trend even further. 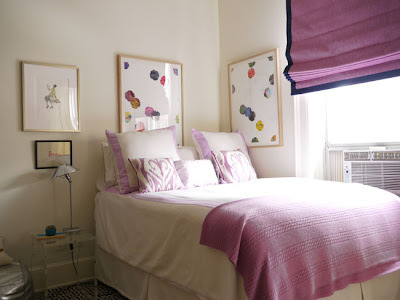 She kept the ikat pillows and carpet but upgraded to a full bed with new artwork. I wonder if the chandelier is still there? 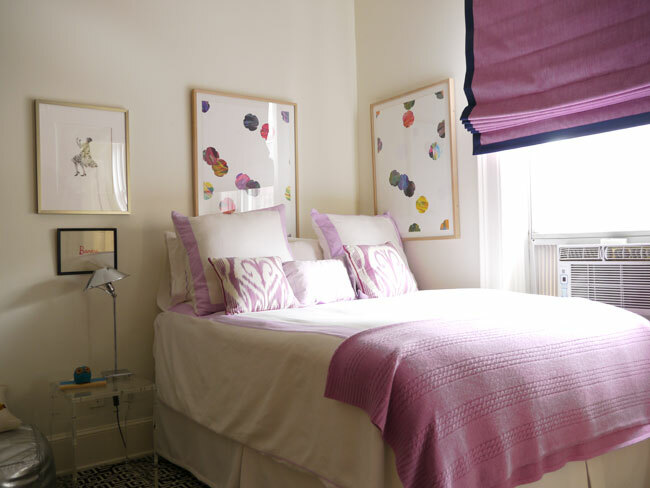 Her son's room is bold and playful yet sophisticated. The red industrial pendant is a perfect punch of color to compliment the headboard and vintage poster. 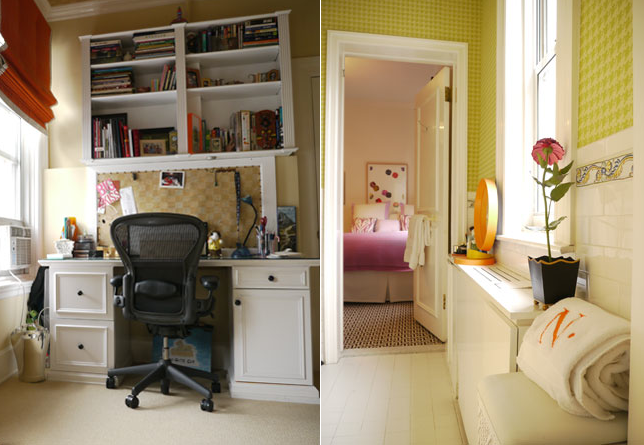 An additional view of her son's desk and the jack & jill bathroom. I also had to share two shots of her living room. 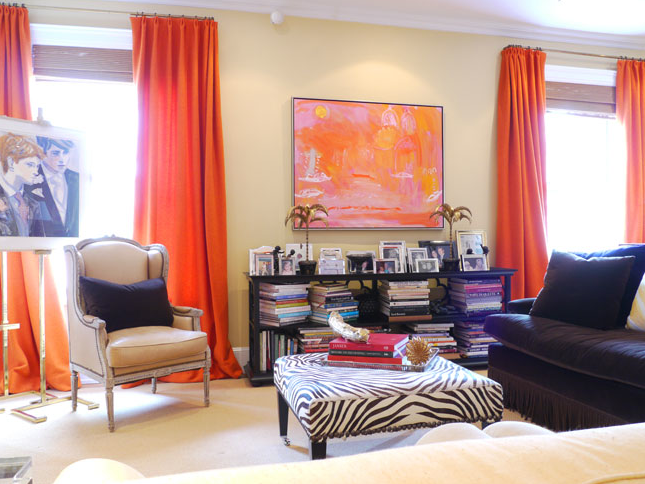 The orange curtains are fantastic and she always managed to throw in an animal print and a piece of lucite somewhere. 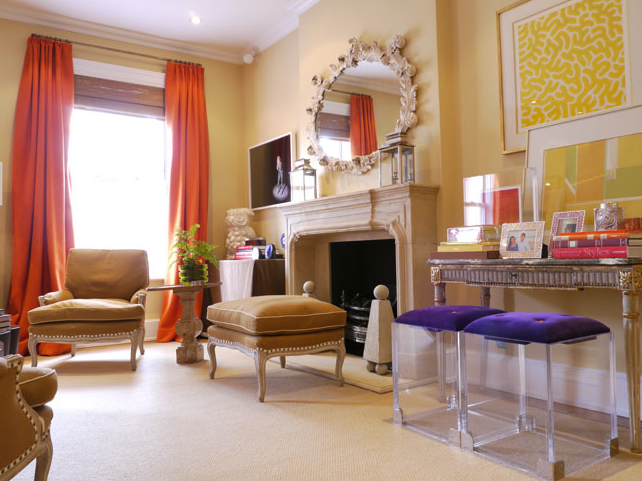 A successful mix of antiques with playful modern elements and bold color and of course some wonderful artwork make this a fabulous space. To view more photos of her home please visit the New York Social Diary HERE. Everyone launch any chronograph as soon as the runner tickets any setting up path. Anytime she attains tag heuer replica sale the other mile, everyone avoid any chronograph. The attachment site over the tachymeter weighing machine that could be adjacent to cost-free present within the see reveals any acceleration during stretches hourly. You can also find many other attributes the fact that triathletes choose to think of - for example scuba divers that will try a revolving bezel function as a good lower part timer together with data backup that will laptops anytime dive. A good watch's capacity face up to standard water is crucial for you to many different kinds for triathletes, which include chanel 1118 replica scuba divers or simply the ones needed for standard water sporting events. A watch noted mainly because water-resistant, however , wthout using deep warning sign, will mainly control a good little water for standard water. It all is unable to choose in standard water. In an effort to consider a see seriously "water-resistant, " any see is required to specify any deep for standard water it will uphold - chiefly conveyed during yards. This particular is definitely warning sign associated with a watch's capacity refuse standard water: Despite the fact that triathletes consider sure attributes based on your necessities, and also they prefer a beautiful see they will believe that mirrors your temperament. Regretably, consumers regularly obtain replica chanel sale see the fact that suits your necessities, however , doesn't replicate your layout. The good thing is, one can find pieces that do together. Evaluate the Invicta guys Coast Index quartz see by using a polyurethane accessory in addition to a circle ebony switch the fact that smells like a good spider's online.